Google has defended its research activities with Huawei following criticism from a number of US legislators. Huawei is effectively frozen out of the US market due to the government’s concerns that its telecommunications equipment represents a threat to US national security. The Shenzhen-based firm’s devices are also not widely available in the US, with government agencies prevented from using them. Reuters reports that some Republican and Democrat lawmakers had written to Google CEO Sundar Pichai expressing their concerns, noting that the company had ended its involvement with the ‘Project Maven’ AI partnership with the US Department of Defense yet continued to work with Huawei. “While we regret that Google did not want to continue a long and fruitful tradition of collaboration between the military and technology companies, we are even more disappointed that Google apparently is more willing to support the Chinese Communist Party than the U.S. military,” the letter reportedly stated. Its signatories included Republican Senators Tom Cotton and Marco Rubio, Republican Representatives Michael Conaway and Liz Cheney, and Democratic Representative Dutch Ruppersberger. Google has responded by defending the arrangement and dismissing security concerns. “Like many U.S. companies, we have agreements with dozens of OEMs (manufacturers) around the world, including Huawei. We do not provide special access to Google user data as part of these agreement, and our agreements include privacy and security protections for use data,” Google spokesperson Andrea Faville told TechRadar Pro. 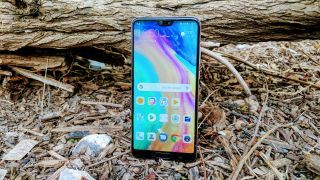 Huawei is a supplier for telcos in other countries, including the UK, and its recent P20 smartphone has received critical acclaim. Its domestic rival ZTE also faces significant roadblocks in the US. However President Trump has personally intervened in a bid to overturn the ZTE’s ban from procuring products and services from US suppliers for seven years – a ruling which placed the company’s survival at risk.